A teenager who was shot and wounded remains hospitalized following a shooting in north Sacramento County. At 9:20 p.m. on Thursday, November 16 Sacramento County Sheriff's received several calls regarding a shooting on 1600 block of Clinton Road in the north area of Sacramento County. Numerous residents reported hearing gunshots being fired in the area. 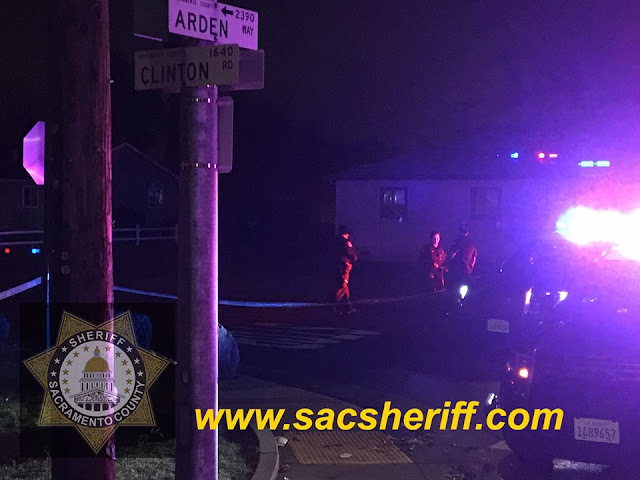 While responding, Sheriff’s Deputies received additional updates indicating a male victim had sustained multiple gunshot wounds and was transported from the scene to an area hospital by a private vehicle. Officers arrived at the scene and began the preliminary stages of the investigation. Sheriff’s Department Detectives responded to the scene and are piecing together the details. At this time, detectives have not established a motive and have no suspect information. The victim has been identified as a 14-year-old male from Sacramento. The victim, in this case, remains hospitalized and at this time his injuries are believed to be non-life threatening. No Comment to " Teenager Wounded in North Sacramento Shooting With Unknown Motive "